Frank Watson Wood studied art at the Berwick School of Art and in 1886 went on to the Newcastle School of Art as second master from 1883-1889. From 1889 to 1899 he was head master at the White School of Art and then in 1900 moved to Portsmouth. It was here that he began to paint the Navy and accepted many commissions from naval officers for portraits of their ships and naval exercises. Watson Wood was invited, along with William Wyllie and John Lavery aboard the Grand Fleet flagship H.M.S. 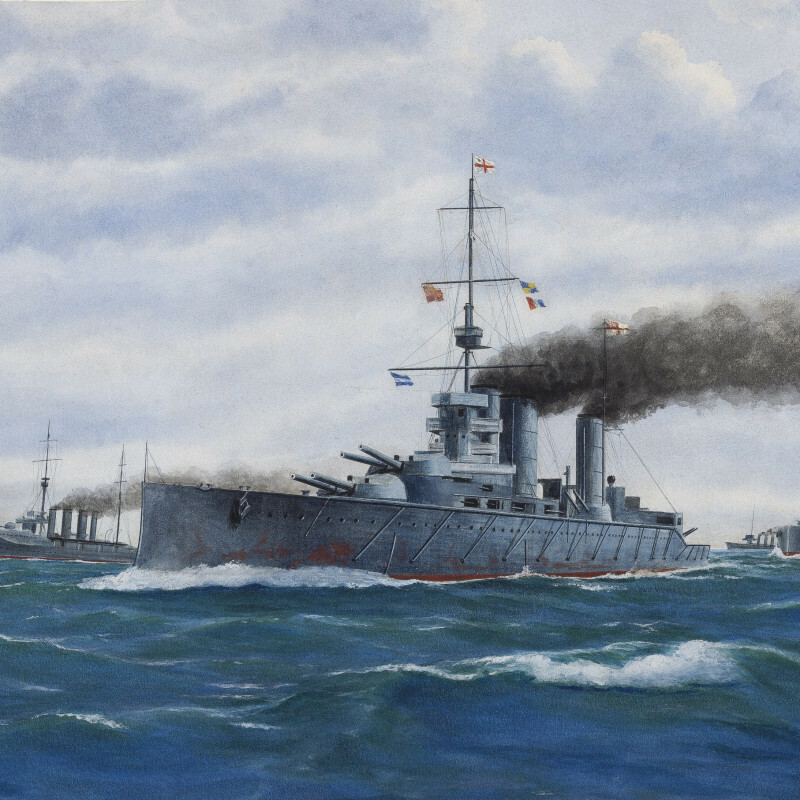 Queen Elizabeth, to cover the surrender of the German High Seas Fleet in 1918. He also accompanied George VI and Queen Elizabeth on their Canadian tour as official artist in 1938. Frank Watson Wood studied art in London and at the Académie Julian in Paris. He exhibited at the RA, RSA and GI. Wood was the second master at Newcastle School of Art 1883-1889 and Headmaster at Hawick School of Art 1889-1899.